Conditions. 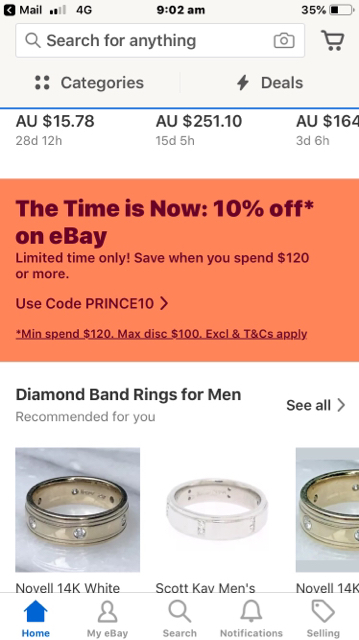 The offer entitles you to 10% off the purchase price (excluding postage costs) on all items listed on www.ebay.com.au except the Excluded Items when you spend $120 or more in one transaction during the offer period, up to a maximum discount of $300 per transaction. A maximum of 2 transactions applies. Multiple items may be purchased in one transaction (up to a maximum of 10 items per transaction). 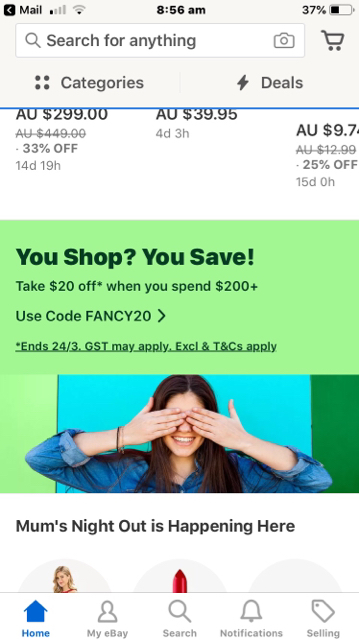 All monetary amounts specified in these terms and conditions are in Australian dollars (AUD).